Vancouver-based startup Loud Crow Interactive created and launched an official Avengers application which now being touted at the first fully interactive comic book, according to a report by online technology publication Techvibes. The mobile app, which is also a 16-page digital comic book, is called Marvel’s The Avengers: Iron Man – Mark VII. It is a free Android and iOS app which has so far been downloaded 2 million times in less than one month. Loud Crow is a 10-man startup operation which was founded in 2010. The company is behind the award-winning A Charlie Brown Christmas digital book app. 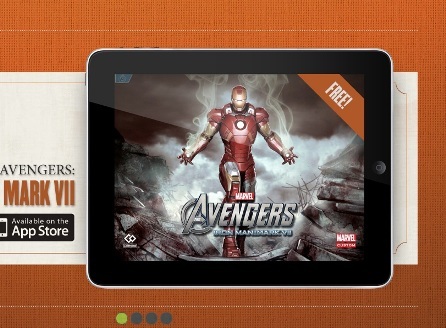 Loud Crow Interactive’s The Avengers: Iron Man – Mark VII interactive comic app.